I’m so excited that the first official challenge on the brand new Hacking Chinese Challenges will start tomorrow! 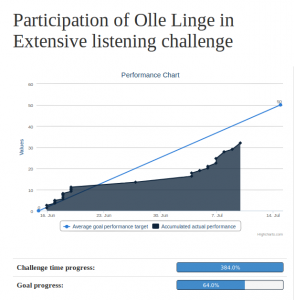 In this post, I will share some information about the challenge itself, but also give you some advice for how to set your goal and how to find suitable audio. First some basic information. The challenge starts on October 10th, which means you can start reporting progress tomorrow. However, you can join the challenge now by clicking here. Extensive listening means that you should listen as much as you can. It’s the opposite of intensive listening where you try to understand everything, stop if you don’t understand something and listen for details. Extensive listening is about breadth, quantity and variety. The challenge lasts for 21 days. How many hours you can spend each day will of course depend on who you are, what you’re doing apart from learning Chinese and how used you are to listening to audio while doing other things. I would say that goals ranging from 30 minutes per day (i.e. about 10 hours total) to three hours per day (or 60 hours total) are reasonable depending on your situation. 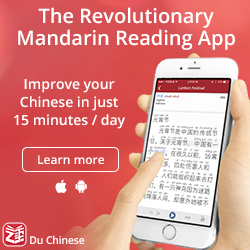 Before you say that you can only fit 30 minutes of listening into your busy schedule, make sure you read what I have written earlier about finding time to learn Chinese (see below). 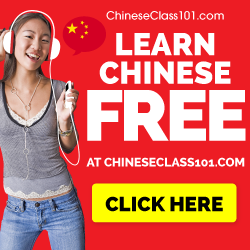 If you’re ambitious, I’m sure 99% of all readers of this blog could find at least one hour to listen to Chinese everyday. The real answer is probably closer to two hours, but then you need to really make an effort. Make sure listening isn’t a practical problem – Listening ability is mostly a matter of listening a lot, which is not as easily done as it sounds. There are many problems, but in this article I focus on the practical parts that play a bigger role than most people realise. In short, if you find yourself in a situation where you would be able to and want to listen, but can’t, you’ve made a mistake and need to change. This article is about how avoid practical obstacles to improving listening ability. The time barrel: Or why you have more time than you think – If we want to combine studying with a normal life or if we want to get the most out of pure language studying, we really need to check the time we have available and see if it’s possible to learn more without removing other important things. This article uses the metaphor of a barrel with rocks, pebbles, sand and water to show that most people have more time available than they think. Time quality: Studying the right thing at the right time – Time quality means that there is time with different levels of quality that can and should be used for different kinds of tasks. If you’re at home and have access to the internet, books and a reasonably peaceful studying environment, this is considered the highest quality time, because you can spend this time on almost anything you like. On the bus or waiting for a friend, however, your studying options are severely limited, or in other words, the time quality is lower. Read more to find out how to make better use of your studying time. How to find more time to practise listening – When it comes to learning to understand spoken Chinese, there are few shortcuts. The more you listen, the more you will understand. But how can we fit more listening into our lives without cutting down too much on other things we do? In this article, I share some insights after spending thousands of hours listening to Chinese and other languages. If you want to read more about listening ability in general, I have written an entire series of articles about the topic, starting here. I have argued before that listening is mostly a matter of practice, much more so than any of the other skills. There are few hacks, you just need to do it an awful lot. Research also suggests that you need to diversify your listening, both at a sound level (i.e. you need to hear many different voices say the same tones and sounds to really learn them well) and at an accent level. When you listen extensively, you should try to find audio that is at or below your current level. This is because that the more you understand, the more you learn (up to a point). If you hear words and phrases you have already learnt, you will increase your listening speed; if you hear new words and phrases, you might be able to pick them up if you understand enough of the other words and phrases used. Read more about comprehensible input here. I feel that extensive listening and reading are what most students lack. They spend lots of time in their textbooks, with their vocabulary and speaking Chinese with their friends. This is great, but it’s not enough, especially not at intermediate or advanced levels. 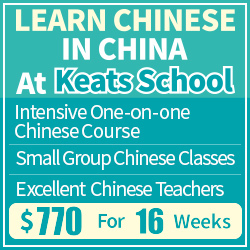 If you want to really learn Chinese, you need a large amount of exposure to natural Chinese and it’s practically speaking very hard to get this just by talking with people. Listening material that is roughly around your current level that you would like to explore further. This could be podcasts, the audio to your textbook, songs or movies. This material is for when your energy levels are high and you feel like listening to something new. Listening material that is below your current level and that you can handle without too much trouble. You need this material to increase the total listening time. There will be times when you don’t feel like listening to something new or when you’re just tired. This is where you use easy audio or audio you have listened to before. An important goal is to increase listening speed. Second, I have some suggestions for what to listen to, but as i said, I will be back next week with more suggested resources. If you have other suggestions, please share in the comments! 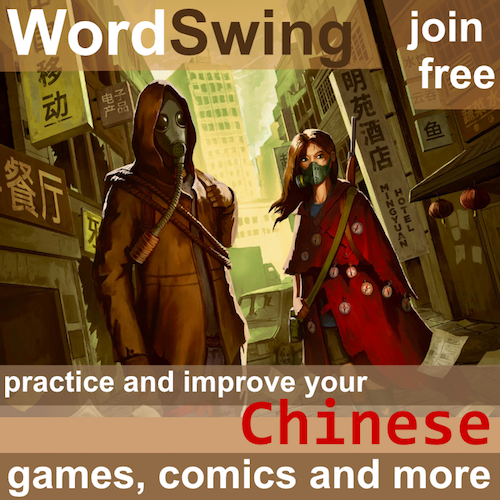 Don’t forget that there’s much more listening material collected over at Hacking Chinese Resources. Just select your proficiency level and then listening. If you find video material, rip the audio so you can listen to it even when you’re unable to watch a screen. You can listen to a TV show while jogging, but it’s a bit dangerous to watch it. I have set a goal of 25 hours of listening. I’m only going to count passive listening, so conversing in Chinese doesn’t count. My primary sources of audio are going to be 锵锵三人行 and Skeptoid Chinese. The former has a new episode every weekday and there’s a huge archive, the latter will be reviewing because I have already listened to all the episodes. I will also watch some StarCraft in Chinese and might revisit an old lecture series about science fiction literature I like. What are you going to do? Can this challenge include time listening spent in the classroom? Especially since my Chinese teachers can’t speak English. Or is it just extra time spent listening outside of Chinese class. You can count any listening you want! I have decided not to count listening in conversations because I speak Chinese for hours every day and it would be very hard to estimate how much of that is listening. If you want to count your lessons, do that! Perhaps you can estimate how much is listening and multiply by that percentage. Actually, this month I’m going to focus on… English, because 1) I have a very important exam approaching (on C2 level, which is actually pretty scary when I start to think about it) and 2) listening is probably my weakest skill. I’m mostly going to listen to podcasts on BBC on a variety of topics – I don’t think I should run out of them, as there is a big archive of them as well. On second thoughts, maybe I should also try to find some alternative sources of listening materials, because after a week or two I might get a little bit bored of listening to the same voices over and over again. Perhaps it could have two ‘views’ – one as it is now comparing time spent listening and a second showing percentage of goal met, so that it’s more of who is doing well at meeting their goal, not just how much time they have to listen. A great app and resource for listening is “蜻蜓.fm”, where you can find and listen to Chinese radio programs on every topic on demand. It also includes audio readings of some novels and things like 相声 performances.